Today is Thursday the twelfth. 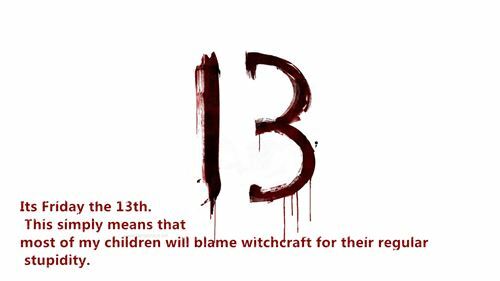 Time to put any superstitions on the shelf. Black Cats and Ladders and Mirrors are fine. So are Not crossing your fingers, picking up pennies and opening umbrellas inside. Problems don’t come in threes. Three sixes don’t bring fleas. Or make a wish on a wishbone. Beginners Luck has no place in my home. Friday the 13th is just another day to me. It’s the day after Thursday the 12th . It’s the day before Saturday the 14th. And this poem only rhymes a little. Now I must throw salt over my shoulder. But I forget which one!